It's the craze EVERYONE on Instagram is talking about. Search the archives for an old picture of yourself and share it with the world! Welcome to #ThrowbackThursday - or #TBT for short. Here's a look at some of our favourites from the stars. 4. Throwback Thursday: The Kardashian/Jenner Family. 24 months vs 24 years! Sorry but this is just TOO cute. Thanks to Louis' mum Johannah for gifting us this absolute treat of a pic! Can you think of a better artwork to use as the cover for the song 'When We Were Young'? Wonder if Adele could hit the high notes even with her two front teeth missing? Ever the starlet, Lorde has been a keen performer from a young age. We're ALL about this amazing snap of Beyonce and Solange hanging out in their childhood days. Selena shared their picture of her and her mum hanging out back when she was a wee nipper. A look back to when the Maroon 5 frontman was presented with his FIRST guitar! Awww! Sam Smith shared this snap of himself in his younger days recently and we think it's ADORBS! This AMAZING throwback of Lorde with her sister back in the day has pretty much made our day. We can't get enough of this ADORABLE snap of 'Problem' singer Ariana way back when! What a sweetheart! She wasn't so posh back then! Love this snap of the Queen Of Fashion back in the day! From a young age Miss Thirlwall was destined for stardom, look at the concentration on that face! The model-of-the-moment was ALWAYS a poser... even as a kid! The ultimate Throwback... the McFly and Busted boys together back in the day. The 5 Seconds Of Summer drummer looks VERY chuffed with himself back in the day! Kanye's missus Kim is seen posing in her AMAZING Throwback Thursday snap. Cuddles time! The 'Boyfriend' star shares a hug with his BFF back in the day. Queen Bey proving she's the queen of #ThrowbackThursday. Kim's little sister pulls a silly face in her Throwback picture. 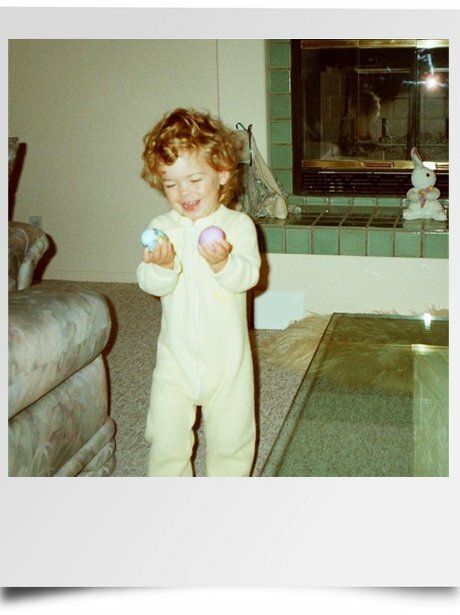 Pro Green's lady looks ADORABLE in her Throwback Thursday picture. We LOVE this snap of old-school Katy Perry hanging out with a pal back in the day! Brad says he STILL feels like the kid in this picture... which makes him EVEN more adorable than he already was! Niall posted this AMAZING snap of him and Liam back in the day. Awww, here's a boy band bromance as Josh turns back the clock to the day he hung out with Louis Tomlinson from One Direction. Did someone say supergroup? Remember when Lily joined her dad in the Fat Less World Cup music video for 'Who Invented Fish and Chips'? The 'Fancy' hip-hop star revealed this snap from the past on her official Instagram account. The first couple of pop music share a snap from their early days together. The 'I Will Never Let You Down ' star was cute as a button in her younger days. The 'Feelin' Myself' shows off some of his high school yearbook pictures. This shot was taken by a fan before the singer found fame and has been used for her Roseland Ballroom shows. Now that's what we call embracing #TBT in style. Fair to say this is our favourite celeb baby picture of all time. Cheryl shows off her street style with will.i.am in this old-school snap of the fast friends. Ellie posted this ADORABLE picture of herself back in her younger days! There is a serious amount of cute going on with this shot of the 'Firework' singer as she sits down for a holiday snap. (Yes that is her real name in case you're asking). Also, is that a cool jumper or what? The 'Crazy In Love' singer gives a pose with her signature smile as she prepared to take the world by storm. Cheryl shares an #adorbs snap of herself around the age of 14... with rollers in her hair! Someone had been watching 'Almost Famous'! Recognise this chap? Here's Calvin when he was most famous for singing the hit track 'Acceptable In The 80s'. Here's a picture of Jessie J looking much younger on the day she wrote 'Party In The USA', a hit made famous by Miley Cyrus, with Claude Kelly and Dr Luke. The Bajan beauty poses with her late grandmother Dolly in a throwback shot from when she was just a teenager. Remember those famous locks? Justin cracks a smile as he poses with Dan Kanter. Seriously, how does Beyonce turn back the clock and still look SOO amazing!? Miley was only too happy to share this picture of herself with Beyonce while she was still a star of Hannah Montana - and years before she took to twerking! Just in case you couldn't guess who it is, here's a baby Jordan Stephens sporting an AMAZING hair cut - not to mention good writing skills.